Much like all of the other editors at Who What Wear, I’m always on the hunt for the newest and coolest brands to hit the fashion scene. I often invest in pieces from established brands, but increasingly I’ve been looking to younger designers and up-and-coming talents with new ideas to fill my closet. In many ways, I can attribute this to Instagram and the exposure that rising talents have on the social media platform. An incredible tool for discovery, I frequently find myself learning about just-launched designers on the app. On Instagram, I’m exposed to fashion across the globe in an instant and can uncover exactly what all of the cool fashion girls are wearing at this very minute. And right now, there is a fresh new crop of shoe brands that are on my radar. 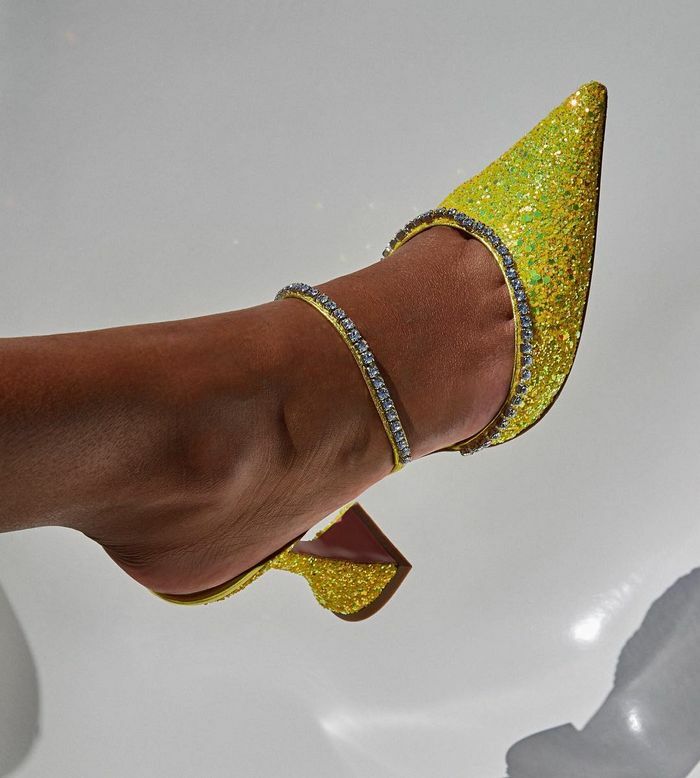 Whether it’s a newly launched brand like Amina Muaddi, which just came onto the fashion scene last month, or one like Area that has been around for years but only recently began producing footwear, there are some new shoes that are worth paying attention to right now. Ahead, see the best new shoe brands I recently discovered and plan on adding to my closet. Launched just last month, Amina Muaddi is one of the most buzzed-about new shoe designers of the moment. While she also designs footwear for French couturier Alexandre Vauthier, she recently debuted her own namesake label. What you'll find are silhouettes that feel modern and cool with details like crystal trim, glitter finish, and architectural heels. Finished with pretty crystal embellishments. Break out the Kira Kira. Just look at that heel shape. Looking for a statement boot? Here you go. Intrigued by her debut collection—stocked with elaborate ruffled heels crafted from PVC and covered in polka dots—I asked designer Ada Kokosar to weigh in. These shoes have been spotted everywhere across Instagram. Are you picking up on the Marie Antoinette vibes? These also come in white. And here's a cool pump version. Area has been around since 2013 but the brand recently launched footwear for its S/S 18 collection. Like its clothes, the shoes are similarly infused with lots of glamour of luxe finishes like fluid lurex and opulent crystals. One of Area’s signature details in the collection is this crystal fringe. This pair has a pink lurex finish. Bonus points that these have a low kitten heel. An unexpected but cool color for fall.